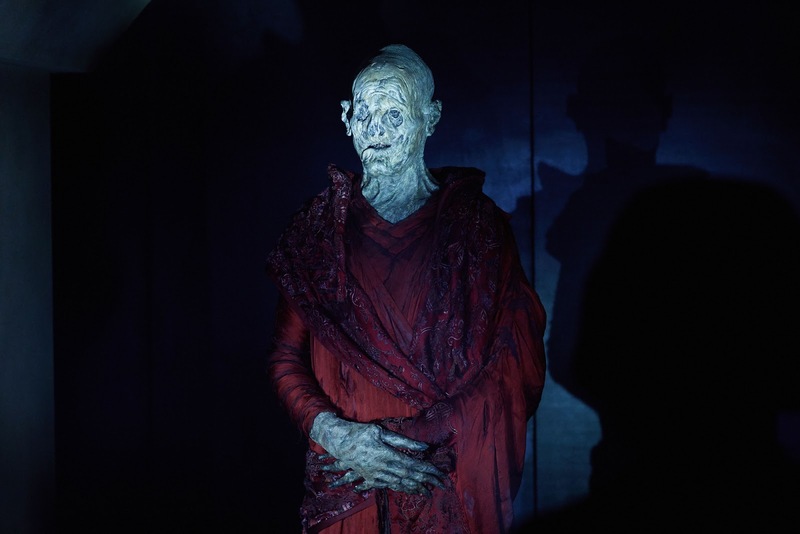 Last week’s episode, “Extremis”, introduced us to Doctor Who’s latest monstrous alien species, beings we don’t really know the name of yet, but referred to as the monks for their robed appearance. 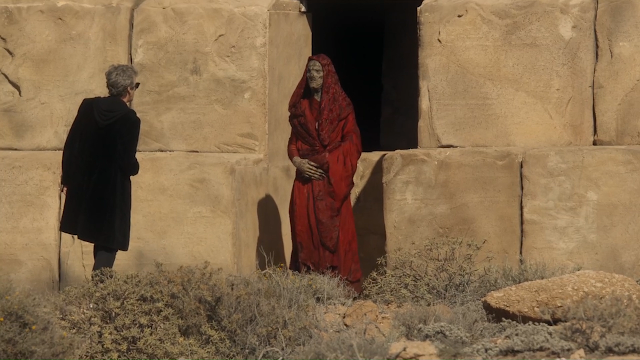 In “The Pyramid at the End of the World”, we begin to see their plans unfold, but it’s a very different style of alien invasion compared to what we’ve seen before—but the monks are very different aliens to what we’ve seen before as well. What results is a compelling and often tense episode that has many of the markings of a classic. Unfortunately, it also has a number of flaws that hold it short of hitting that mark, including several rather wooden characters, and a few too many contrivances to allow plot events to happen than are easily believable. There are some great concepts and moments, though, and it certainly leaves me eager to see more. Steven Moffat has a knack for creating creepy Doctor Who monsters. Often those monsters gain much of their creepiness through their unusual abilities. The weeping angels can only move when no one’s looking at them, and people forget the silents when they’re not looking at them (not looking is definitely a commonality with both those monsters). In the case of the monks, however, it’s not so much their abilities as it is their behaviour. These are aliens with their own twisted code that determines how they proceed. They don’t simply move in and conquer. Instead they require that they be asked. They will save humanity from certain doom, but only if humanity consents to their rule. They also use a horribly twisted version of consent. Choose not to consent and they let humanity die. Consent for the “wrong” reasons and the consenter dies. They will take the consent of one person and consider it the consent of the whole world (and even though they require the consent of someone with “power”, no one has that kind of power). Worst of all, they consider consent now to mean consent later as well. None of what the monks consider consent is truly consent and that’s what makes them such effective and terrifying villains—that and their incredible powers to enforce their version of consent. There are some superficial similarities between the monks and some of Steven Moffat’s other creations—there’s a visual similarity with the silents, for example—but on the whole, I think they’re one of his most original recent creations. They also have a wonderfully creepy way of speaking (somewhat reminiscent of the original Cybermen from the final William Hartnell story, "The Tenth Planet"). We don’t yet know their motivations, or what they want with the Earth, but that will hopefully be revealed in time. Of course, Steven Moffat is not the only writer of this story. He is the sole credited writer for “Extremis”, but for “The Pyramid at the End of the World”, he is a co-writer with Peter Harness, whose previous contributions to Doctor Who have been the Series 8 episode, “Kill the Moon” and the Series 9 episodes, “The Zygon Invasion” and “The Zygon Inversion”. 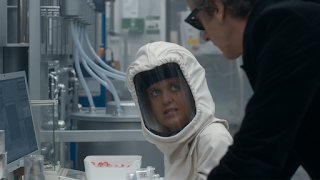 Like Harness’s previous episodes, “The Pyramid at the End of the World” has some great concepts marred by some not-so-great executions—though like the two Zygon episodes, these problems don’t ruin the episode the way they do in “Kill the Moon”. There are two significant issues I have with “The Pyramid at the End of the World”. 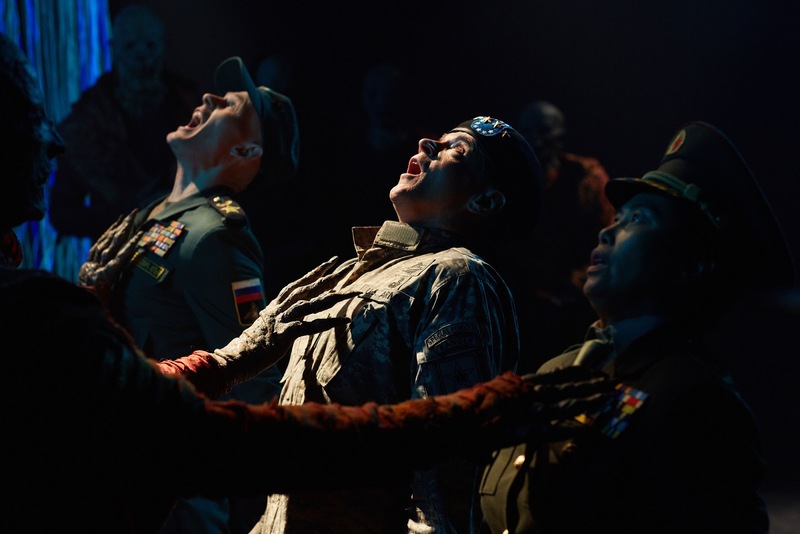 The first is with several of the supporting characters. While some characters (like Erica) are well-developed and characterised, others are incredibly wooden. The three soldiers in particular have little in the way of any differentiating personality. Apart from the fact that one is Chinese, one Russian, and one American, and they are played by three different actors, they might as well all be the same character for the amount of differentiation they get. They even all die simultaneously. Considering they have a significant role to play (all the same role, too), their complete lack of personality really stands out. As a result of this, the willingness of all three to completely ignore their own chain of command (with no repercussions either) and grant their consent to the aliens just doesn’t come across as believable. The other issue is with the contrivances that have to occur to bring about the end of the world. I actually like that what brings about the end conditions is an accident. Rather than war and people fighting, it is simply human error. That could work so well—also the idea that it’s not just a single big error but the cumulative effect of many small errors. Unfortunately, some of those errors simply stretch believability to its breaking point. I accept that Douglas is hung over and more likely to make mistakes, but his mistakes go well beyond just a misplaced decimal point. 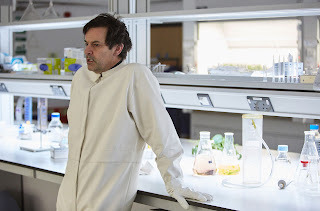 First, he takes off his hood in an area where they are working with potentially hazardous chemicals. Then, after seeing the plants literally dissolve away in front of him, he grabs a sample and actually takes it out of the contained area—without first putting his hood back on, I might add—and leaves both airlock doors open! At the time of his death, on my first viewing, I couldn’t feel sorry for him. Rather, I felt he was getting what he deserved. On top of Douglas’s gross incompetence, the lab has incredibly lax safety protocols. For inexplicable reasons, it automatically vents hazardous chemicals into the atmosphere and has airlocks where it’s even possible to leave both doors open. Perhaps the worst contrivance here is the incredibly unlikely use of tumbler combination locks on the airlock doors, which are there simply for the meta reason of trapping the Doctor inside, thus giving Bill the reason to give her consent to the monks. Of course, in a 45-minute format, it is often necessary to take a few short-cuts and include a few contrivances here and there, and I’m certainly willing to overlook some things like this, but in this particular case, there are just too many that it does impact the quality of the episode overall. That’s not to say that they ruin the episode. “Pyramid” is still highly enjoyable. It just has these annoying aspects that are not easy to ignore. On the plus side, though, there are many things to enjoy in the episode as well. It builds tension gradually throughout to the point where the final moments (even considering the contrivance needed to trap the Doctor) have you on the edge of your seat, and the cliffhanger is utterly thrilling. Bill is perhaps a bit underused in this episode, mostly just following people around, but she does get some good moments to shine, particularly at the end. Her dates with Penny do seem destined for unexpected interruptions, though. First the pope (okay, that was just a simulation) and now UN soldiers! 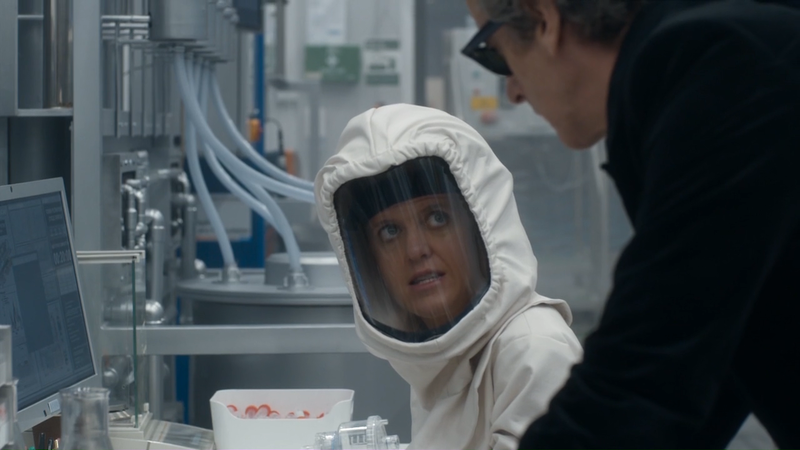 Nardole is similarly a bit in the background, but has his moments, too, notably demonstrating his intelligence in suggesting that bacteria might be the cause of the world’s end. There’s also the intriguing details of his being put back together with a few low-quality parts, such as human lungs. As the second episode in a three-episode arc, “The Pyramid at the End of the World” is a bit difficult to rate overall, since it’s dependent on both what came before and what comes after. However, it’s also clear that each episode of this ongoing story has its own self-contained story as well. In “Extremis”, it was the story of the simulation. Here, it’s the story of the monks gaining the consent they desire. Next will presumably be what they do with the Earth now that they have it. Based on its self-contained story, “The Pyramid at the End of the World” has some annoying flaws that are difficult to ignore, but it does manage to rise above them and provide a tense and thrilling episode. The Alien species looks scary, wow! however this story is great and well worded. You are truly a great writer and expecting to read more of your articles.